Surviving through all the disastrous events of the various attempts at making a functioning dinosaur theme park, we have all learned some very important lessons. If there is one thing that we’ve learned about the work done in Jurassic Park, we know we can turn to the words of Dr. Ian Malcolm: “Your scientists were so preoccupied with whether or not they could, they didn’t stop to think if they should.” Well, it is a good thing that we all learned and didn’t try to make another theme park… Oh, wait. Sooo, anyway. Turns out that we created a dinosaur-human hybrid. It might have the ability to pass that mutation on to other humans. … Like your tyke. 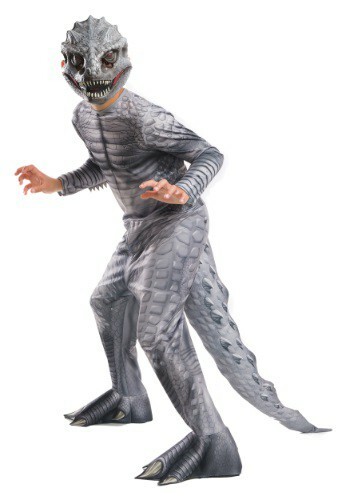 Best to just get used to the new changes that your life is going to bring with this Child Jurassic World Dino costume. 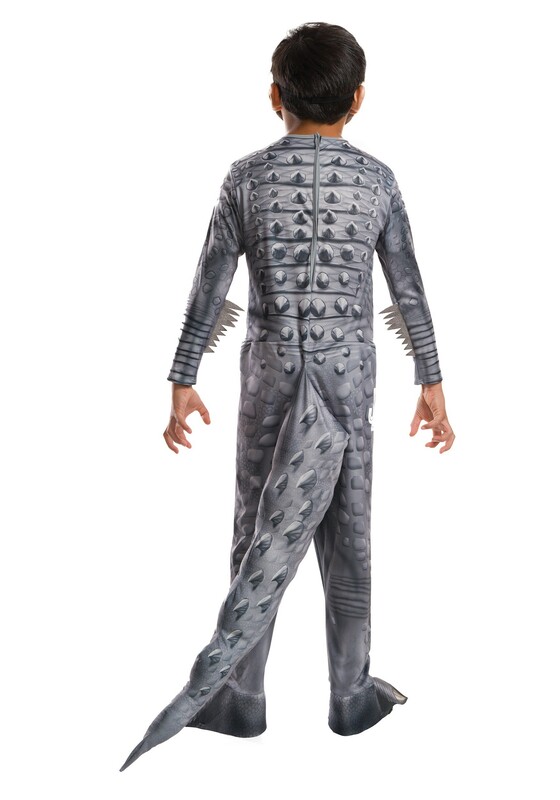 The polyester jumpsuit has Velcro attachments and fits comfortably, even if the scaly look might make your kiddo look a bit terrifying. The hard plastic mask gives your kiddo some real bite to their smile and the attached tail can be stuffed for a fuller look. Now the biggest problem is going to be figuring out what to call these DinoKids… so long as we don’t say what our biggest problem is, anyway.